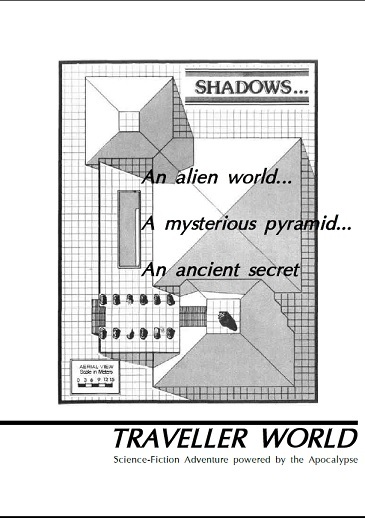 This is a Traveller World hack of the original Traveler Double Adventure 1: Shadows. Science fiction adventure in the far future, powered by the apocalypse. "Mayday, mayday, mayday. This is PrisonCorp facility 13-316-66. I repeat this is PrisonCorp facility 13-316-66.. oh god. They're getting through!" PrisonCorp 13-316-66. A prison planet home to the sector’s toughest, meanest and cruellest. Recently the lights went out. As a member of the Marine Reconnaissance Unit you're the best of the best. But this place holds secrets, secrets you don't want to face. Can you find out what happen? And survive to tell about it?